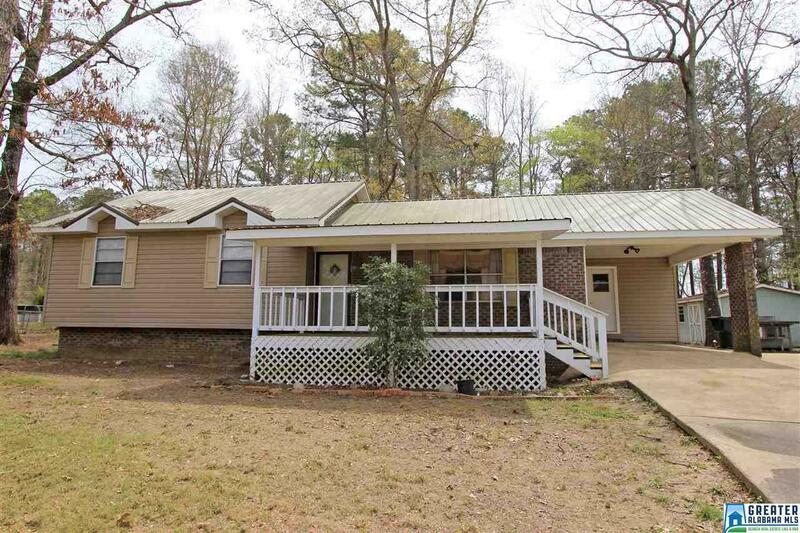 This 3BR 2BA home in Pleasant Valley sits on a nice lot that backs up to woods and offers ample paved parking. Location is very convenient - centrally located between both the Hwy 21 and Hwy 431 corridors and only minutes from Jacksonville City Center, including JSU Campus. Family Room is a good size & features a coat closet, which is sure to prove itself handy. The light-filled eat in Kitchen features a pantry, tiled countertops, and glass door leading out onto the great back patio. Large Laundry Room has an area for additional storage, and you are sure to appreciate the pull-down attic storage space and the storage building out back. Spacious front porch is the perfect spot to place rocking chairs, and you will enjoy relaxing here and enjoying the outdoors. Easy to maintain brick and vinyl exterior. Metal roof. Call today for more information and your personal tour!